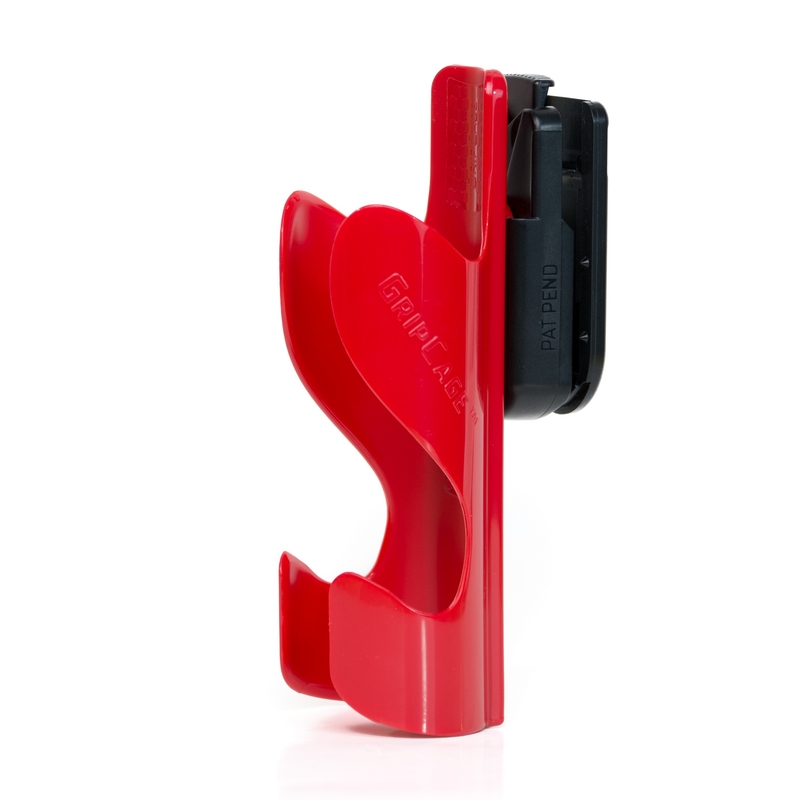 The patent-pending GRIPCAGE™ is custom designed and manufactured with the professional in mind. The design is versatile, easy-to-use and is the quickest on the market. Comes with one VersiClip™ belt clip included. The patent-pending GRIPCAGE™ is custom designed and manufactured with the professional in mind. The design is versatile, easy-to-use and is the quickest on the market. The GRIPCAGE will accept the RefEDGE PRO™ can quickly and easily in one of three ways – slide it in the top, snap it in directly sidewards, or put the can bottom in first and click the top in upright. 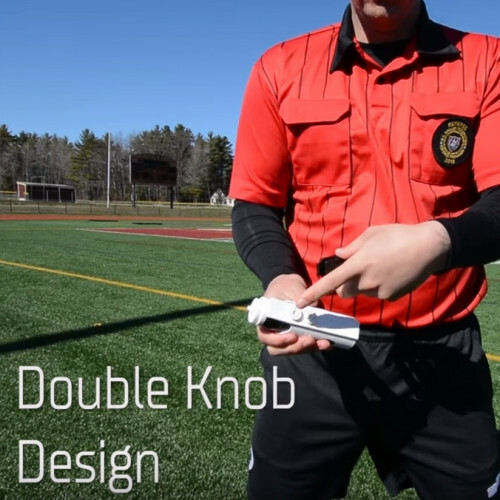 Super easy and super quick – there’s no need to even look at the holster with a little practice. 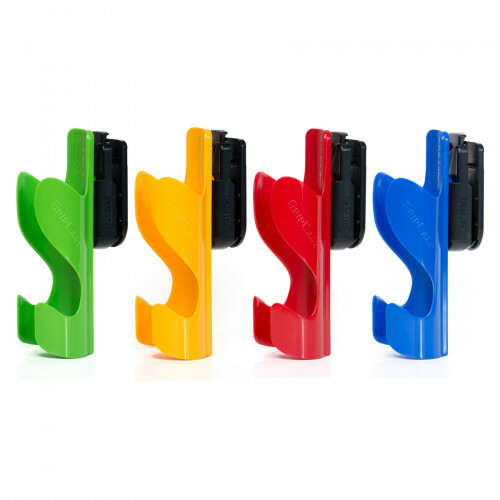 With the matching patent-pending VersiClip belt clip, the holster can be positioned in four ways – locked vertically, locked horizontally right-handed, locked horizontally left-handed, or free swinging. The quickest spray holster on the market – period. 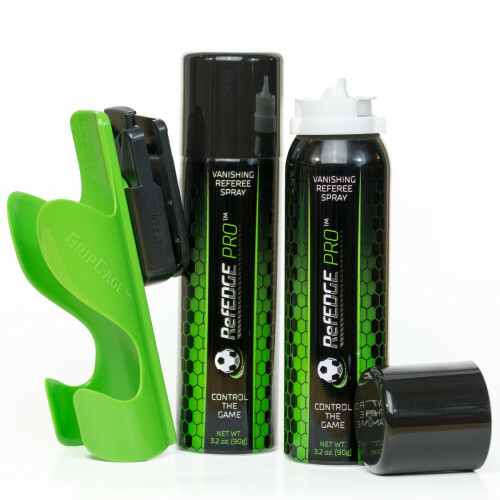 Stop fiddling to get your spray back in its’ home – use RefEDGE PRO™ and the GRIPCAGE™ holster instead. Fits the RefEDGE PRO™ 3.2 oz. can perfectly. Comes with one VersiClip™ belt clip included. Color coordinated to match pro jerseys.